How many national emergencies have been called by presidents? President Trump declared a national emergency to free up funds to build a wall without congressional approval on Friday, adding that other presidents have called national emergencies on other topics "many times before." 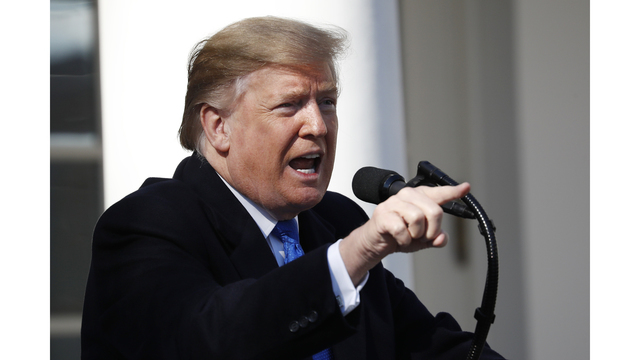 (CBS) - President Trump declared a national emergency to free up funds to build a wall without congressional approval on Friday, adding that other presidents have called national emergencies on other topics "many times before." The National Emergencies Act of 1975allows the president to declare a national emergency, but he must outline the specific emergency powers he is using under existing statutes. According to the Brennan Center, there have been 58 national emergencies called by presidents since 1979. Thirty-one of those national emergencies are still in effect. Nov. 14, 1979 (still in effect): A national emergency in response to the Iran hostage crisis, which froze Iran's assets in the United States. May 30, 1992: Blocking "Yugoslav Government" Property and Property of the Governments of Serbia and Montenegro, revoked 2003.